Our mission is to provide customers with value in the form of the finest metal storage products available. Our shelving and pallet rack products are popular with warehousing and manufacturing applications, and lockers are widely used in educational facilities, fitness centers, health care, commercial and industrial locations. 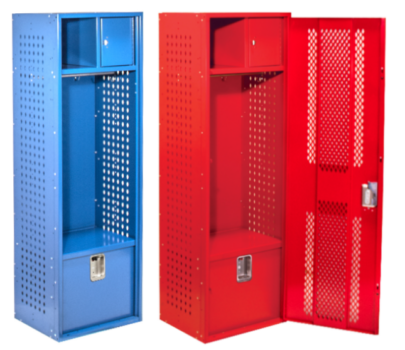 Our lockers are ideal for schools, gymnasiums, health clubs and industry. From a wide selection of knocked down and all- welded models, there is a locker to suit nearly every need. 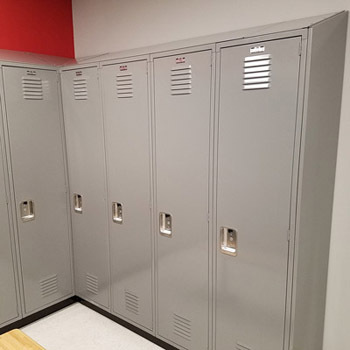 We can provide any configuration of lockers; single tier, double tier, box lockers, cubbies and athletic locker. Accessories are available also. Including locks, touch-up paint, sloping hoods, benches, pedestal, and all trim pieces. Call us today and we will help you choose from our proven products while keeping you on budget. Our consultations are free! Email your quote request to info@zinstallers.com. Standard duty steel lockers for schools, hospitals, institutions and industry. Durable Steel Lockers for higher abuse in school and industrial environments. Can be ventilated as an option. 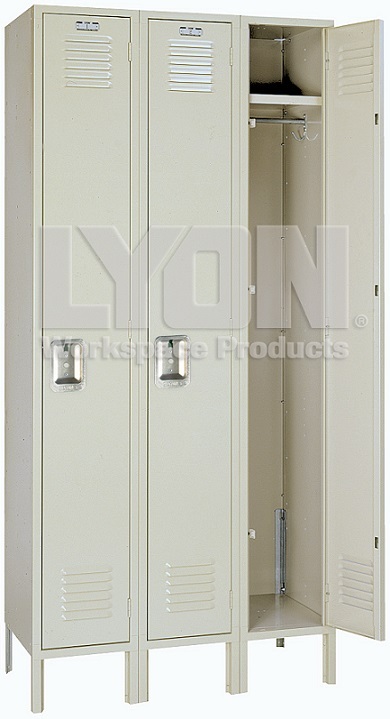 High strength steel lockers with welded construction for maximum strength for school and industrial environments. Ventilated option shown. 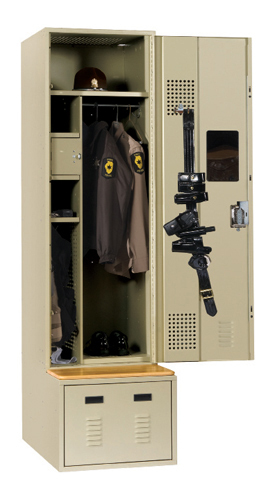 This heavy duty steel law enforcement locker is designed to meet all the customers. 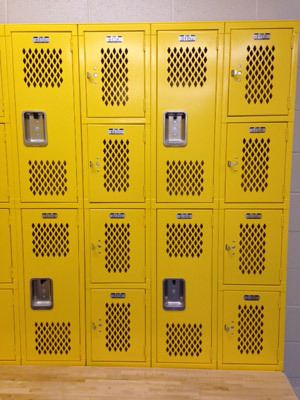 Great option for storing bulky athletic gear and are ideal for team locker rooms. Plus additional security for special equipment or assigned gear. The 18"H Bulk Lock Up has a lid that lifts up and can be secured closed with a padlock which doubles as a seat. The upper Security Box allows for small personal storage and can be secured with padlock or built in combination lock.